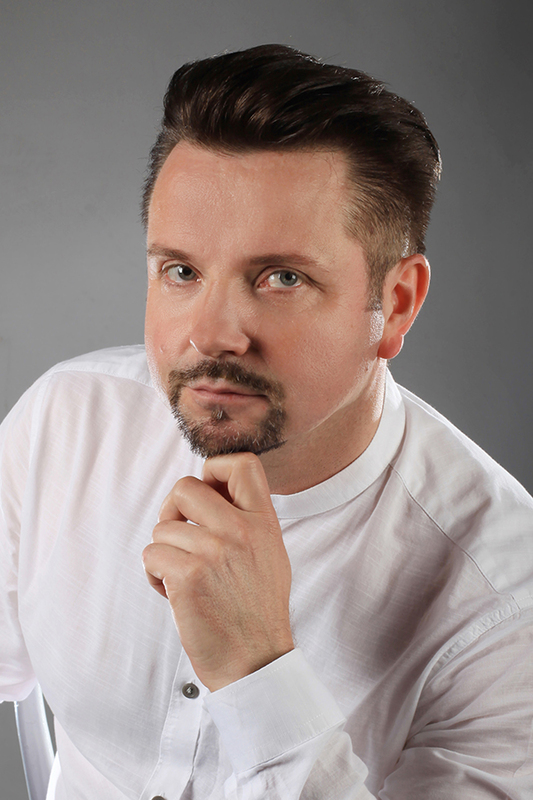 Polish tenor; graduated with honors in 1996 at the Stanisław Moniuszko Academy of Music in Gdańsk in a class led by Prof. Piotr Kusiewicz. His opera debut took place in April 1996 in the Baltic Opera in Gdańsk where he played the part of Ernesto in Gaetano Donizetti‘s Don Pasquale. In 1993, as the youngest participant and the only Pole, he won the Plácido Domingo‘s First International Vocal Contest in Paris; in 2002, he won the IV International Tenor Contest in Szczecin. In 1997, in occasion to celebrate 1000 years of Gdańsk, he had the honour of performing under Jerzy Katlewicz and in the presence of Pope John Paul II in St. Peter‘s Basilica in Vatican. In 1993, for the entirety of his work, he received the award of the Society of Friends of the Sciences and Arts in Gdańsk. Two years later, he also became the YAMAHA scholarship holder. His published disc of Stanisław Moniuszko’s canons earned him a nomination for the Fryderyk award. He works with theatres and philharmonics in Poland and abroad, performing in operas and operettas of many epoch composers. His roles include: Don Ottavio in Don Giovanni, Pollion in Norma, Alfred in Traviata, Ismael in Nabucco, Prince in Rigoletto, Pinkerton in Madama Butterfly, Cavaradossi in Tosca, Rodolfo in La Bohème, Edwin in The Riviera Girl, Einstein in The Bat, Lensky in Eugene Onegin, Stefan in The Haunted Manor, Narraboth in Salome, Pierre in Madam Curie, Don Jose in Carmen, Sándor Barinkay in The Gypsy Baron, Jontek in Halka, Wacław in Maria. In 2006, he took part in the world premiere of Roger Waters‘s opera Ça Ira. That same year, his solo album simply titled Polish Songs was published to a warm reception by critics and listeners alike, earning him another nomination for the Fryderyk award. He has recorded for the Polish National Radio and Television. In 2010, he was awarded the “Distinguished in Culture Gloria Artis” medal. He was pronounced the Personality of the Year 2015. Next year, he won the “Best Singer” category at the X Jan Kiepura Theatrical Music Awards. He performs domestically, in Europe, Canada (Mississauga Living Arts Centre), the USA (Chicago Symphony Center) and China.